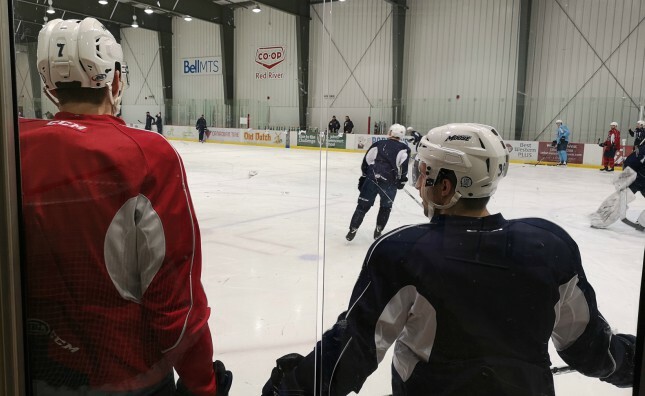 The Manitoba Moose enjoyed a well-earned day off on Monday, but were back to work Tuesday morning at Bell MTS Iceplex. The final week of the regular season is here and the Moose are in the fourth and final playoff spot in the Central Division with three games to go. 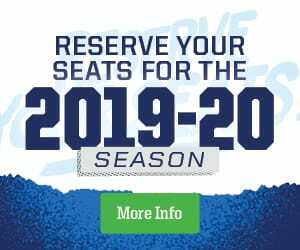 Ahead of Iowa on a tie-breaker, and two back of third-place Milwaukee, the Moose also have Texas and Rockford nipping at their heels with everyone having played 73 games so far. Now it’s all about taking care of what they can control as the try to wrap up a second straight trip to the Calder Cup playoffs which means grinding out results with three road games in three days starting Friday in Grand Rapids, Mich.
Manitoba closed out its final homestand of the regular season with a 3-1-0-0 mark after a loss to Stockton on Sunday snapped the team’s four-game home ice win streak. Despite the defeat, the Moose are confident they’ll be ready when the chips are down. The Moose have turned their season around going 13 games over .500 (26-13-3-2) since Dec. 30 to climb all the way out of the basement of the American Hockey League standings and into contention for a post-season berth. It’s a spectacular run bolstered by their work on home ice. Even with Sunday’s loss to Stockton, Manitoba dropped just three games in regulation time at Bell MTS Place in its last 24 outings (19-3-1-1). While Manitoba has dazzled at home, the team’s away form is coming along too going 5-2-1-0 in their last eight on the road with wins in Toronto, Belleville, Colorado (2), and San Antonio.